Starting with the release of Android Lollipop, the process of installing the Xposed Framework got a bit more complicated. Not only are there separate installers for each Android version, but now, you also need to know exactly what type of processor is in your device to make sure you're downloading the right files. In fact, CPU architecture is becoming a factor in more and more scenarios these days, including certain sideloaded app updates and, of course, custom ROMs. There are three main CPU architectures used in today's Android phones. ARM is perhaps the most common, as it's optimized for battery consumption. 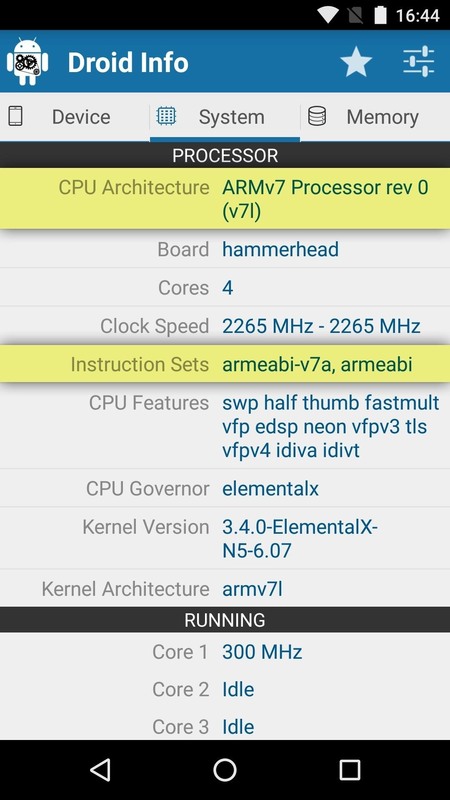 ARM64 is an evolution of the original ARM architecture that supports 64-bit processing for more powerful computing, and it's quickly becoming the standard in newer devices. Then there's x86, which is a bit more powerful than either type of ARM CPUs, but not quite as battery-friendly, so it's the least common of the three. But regardless of all that, if you're not exactly sure what type of processor you have, I'll show you how to see if it's an ARM, ARM64, or x86 chip below. 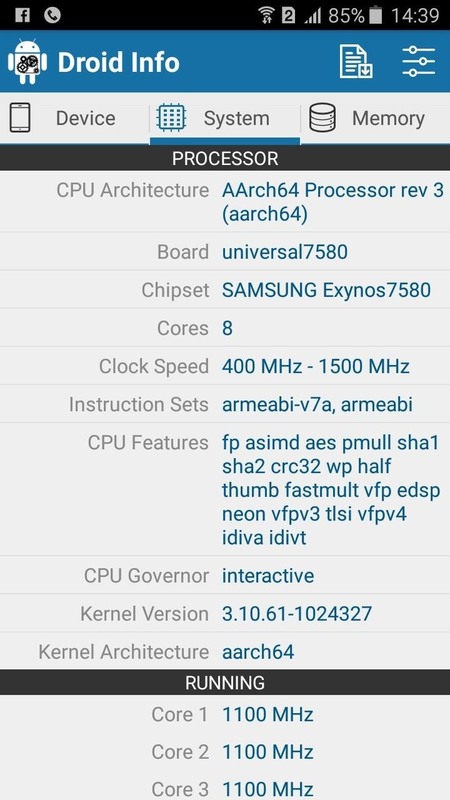 The easiest way to find your CPU type is to install an app that gives you a readout about your device's hardware. 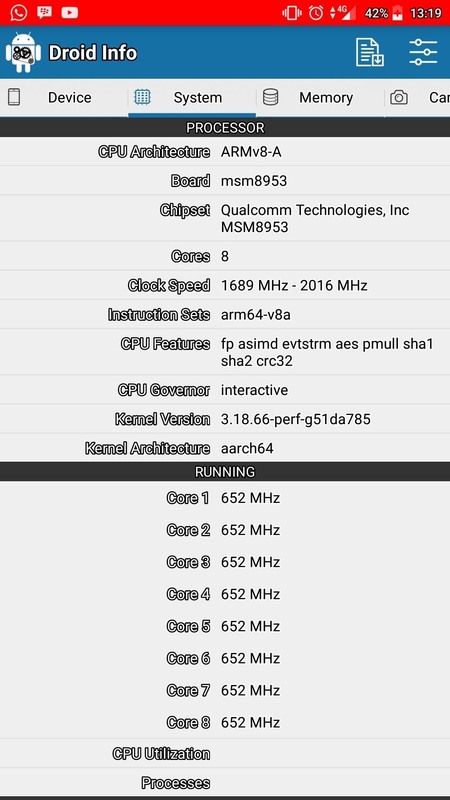 Our favorite such app is called Droid Hardware Info, and it's available for free on the Google Play Store. To begin, search the app by name and get it installed, or head directly to the install page at the following link. Next up, simply open Droid Hardware Info and head to the System tab. From here, there are two fields to note — CPU Architecture and Instruction Sets. Jot this information down and use the table in Step 3 below to find the common name for your CPU type. Which type of processor does your device use — ARM, ARM64, or x86? Let us know in the comment section below. Hello my name is Kevin j and just wondering why I cannot use dsploit wifi kill I am using armv7 possessor rev 5 / Samsung grand prime. That's an ARM processor for sure. Weird that it has both, though. Please I have tried everything to see if it's works for me; but to no avail. 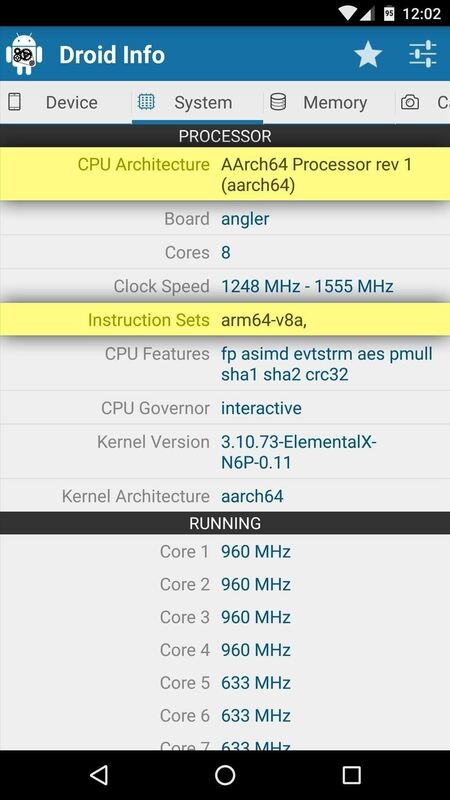 My processor is AArch64 rev3 (aarch64). What kind of processor is it? Please help..